Florida chainsaw pants video: Shopper gets aggressive. See the chainsaw at lower left. The Florida site TCPalm has a scoop on an alleged thief who was caught on camera putting a chainsaw in his pants in the city of Port St. Lucie. 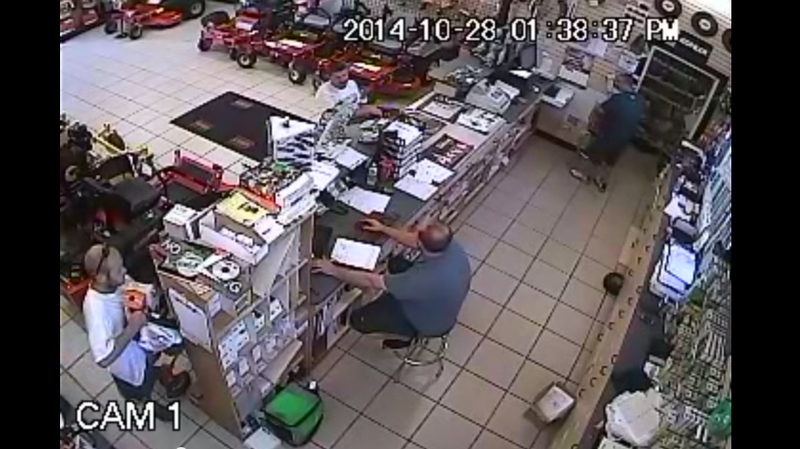 Here is the video of the man putting the chainsaw in his pants. Correction, Nov. 12, 2014: The video in this post originally depicted a President Obama press conference instead of the alleged Florida chainsaw thief.